The once useful and efficient Google Keyword tool is no longer in use. It has now been reincarnated as Google Keyword Planner. This has earned a mixed response from its users, and there are both positives and negatives to be found with this new Keyword Planner application. The Keyword Planner function is a combination of the Keyword Tool and the Traffic Estimator, which aims to give you results for both through one platform. Here is a breakdown of the positives and negatives of this new Keyword Planner. A major development in the Keyword Planner is its ability to provide the volume of a keyword search at a city level, which enables organisations to segment their audience to specific geographic locations for optimum results. 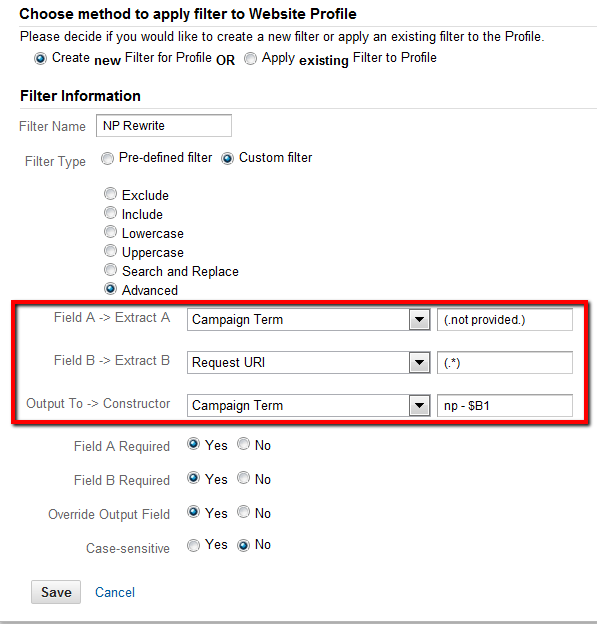 Users can now upload up to 10,000 keywords from their own list to get performance data. The Keyword Planner also allows users to categorise results by ad group, landing page, among others. 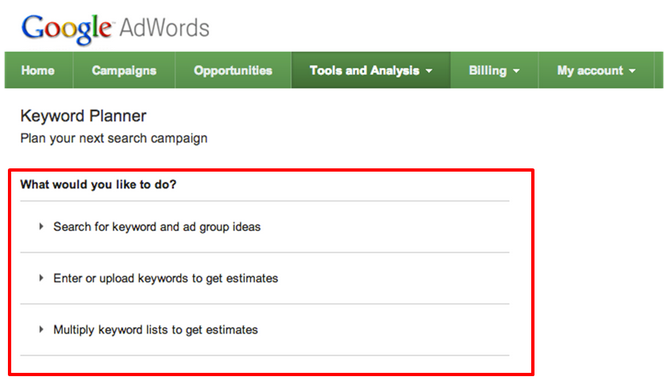 To use the Keyword Planner, users must now login to a registered AdWords account. Match type data for search volume. Global vs. Local monthly searches. Are you having problems with the new Keyword Planner? At WebResults, we have a team of Adwords experts who know how to best use the Keyword Planner tool for optimum results. Please contact us, and we can help you set up an effective Adwords campaign, among our many other services. News Metatag: What is it? News Meta Tagline : What is it? Last year Google launched a “news keywords” metatag for news publishers. This came about due to news publishers struggling to get their content found as their headlines didn’t contain certain keywords or phrases. This was introduced as it sometimes proved difficult to incorporate all the keywords or phrases into a headline which would read well and grab the attention of someone browsing that topic. These news metatag’s have a similar format to the normal keywords metatag, in that the news keywords metatag allows publishers to specify a collection of terms that apply to their news article. Here are some guidelines to follow when incorporating a news metatag into your piece. 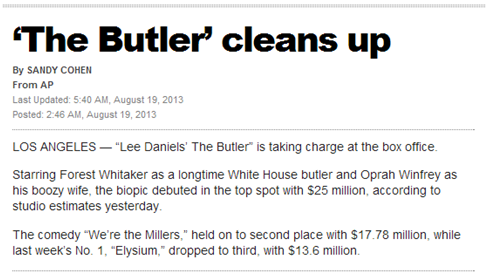 In the above article from the New York Post, the headline reads “The Butler” cleans up. This headline makes sense to the reader when considering the overall piece is about a film entitled “Lee Daniels’ The Butler”. This however does not make sense to a Google crawling device, tracking and storing information. On the basis of the headline alone, the device does not know this is an article about a film and will not show it up on results regarding terms such as film news. 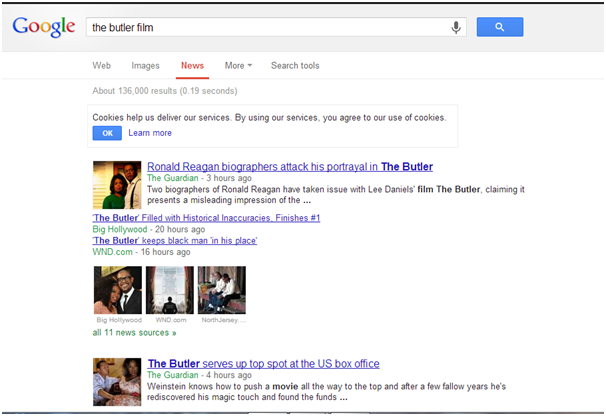 This will ensure this article gets shown for searches containing terms such as Forrest Whitaker and Box Office. Within the content section of the tag, you can enter up to 10 keywords or phrases. Each word or phrase is to be separated by a comma. These commas are used as a delimiter for keywords. Spaces have no relevance within the tag. Each word or phrase within the tag is of equal value, meaning that the first word/phrase is not considered more important than the tenth. In this case, “GAA” will be just as relevant as “All Ireland” when Google shows up articles regarding this search. If you are experiencing any difficulties with the news metatag, please contact us. At WebResults we have an experienced team of experts who can help with any needs or enquiries you have regarding metatags, metadata or any other aspect of SEO. We also offer a wide range of other services for your digital marketing needs. The information gathered from these KPIs can be used to both measure the success of this campaign and provide valuable information for future campaigns. Keyword rankings are a key component of the SEO process with the websites who are listed on the first page receiving up to 92% of the traffic share (Searchengineland.com, 2012). Over time a business can track keywords and see how effective each are with the ability to change them at any time. Keyword analysis involves some trial and error as a business might find out overtime that a keyword is just too broad and competitive for their business to rank high for. Having your site appear on the first page of a search engine isn’t enough to classify a SEO campaign as a success. The traffic volume and quality of a search term must also be analysed. Traffic volume should be measured based on the number of visits that come from organic search. 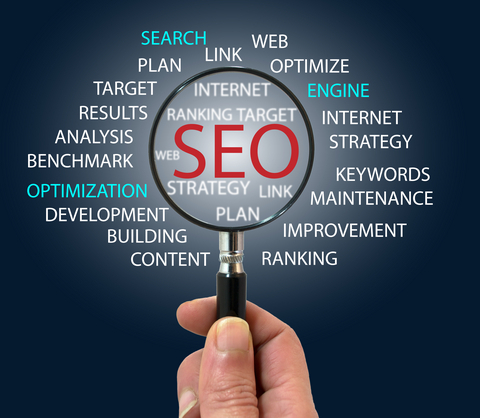 With a successful SEO strategy, there should be a significant increase in organic search traffic over time. How much traffic you should expect depends on the size of your target audience. For example, a successful SEO campaign that targets people who are looking for a nationwide online retailer will deliver significantly more organic search traffic than a successful campaign targeting people who are looking for a local hairdresser. Within this volume of traffic, the quality of the traffic must also be analysed. Some areas of interest when determining the quality of such traffic include, pages per visit, average visit duration and bounce rate. You are essentially looking for a high average duration with a large amount of pages visited whilst keeping your bounce rate low. Through web analytics you can determine what you consider to be a goal or a conversion. This could be something like a visitor completing a subscription form or contacting the business. When these conversions are set up by you, you can use Google Analytics to track and record each conversion as it happens. You can even track each page a visitor viewed leading up to the conversion to see what links they clicked on etc, this can be done with tools such as mouseflow. Sales aren’t essential from first time visitors, it is good to make them aware of your brand and have them complete some form of conversion which will keep you in their minds for future reference. After analysing your conversions you can also pinpoint which keywords from organic search results attracted each visitor. Content writing is a form of inbound marketing which many marketers having taken a great interest in. This involves writing blogs or articles about topics which relate to your company. This content is given out freely to the public and is a good way of connecting with your customers and sharing your knowledge presenting you as the expert in your field. The content will involve a mix of topics and formats around topics that are relevant to your target market and information that will help them move closer to using your services or purchasing your products. The approach is not promotional and doesn’t involve hard sales language. The content is more focused on relevancy, interesting, compelling and practical information. The content could be a review of a new product or a piece on the changing environment of an industry, a relevant event or a question or comment to get engagement or interaction from the reader It should help draw parallels between what is important to the customer and what the company stands for. Research carried out by Hubspot revealed that those who blogged recorded 55% more visitors than those who didn’t, showing the power good content can have. 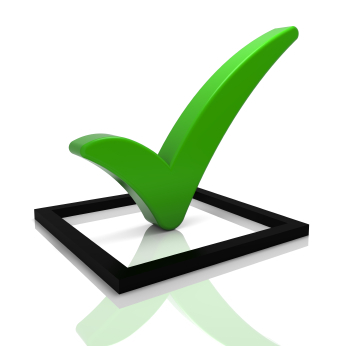 However, for this content to succeed in warming your brand to current and potential customers; it has to be good! 9/10 Business to Business (B2B) companies say that they will be producing more content than they did last year. This means that there will be a constant stream of content covering every area of business. So you will need to make your content stand out from the crowd and be beneficial to the reader, offering good advice and a critical outlook, so that it has a relevant impact on the customer’s viewpoint. When writing a blog try to create educational, thought provoking content related to your company. Think of what you would be more likely to share or comment on, don’t focus on sales and talking about what you do. Your website and blog content should be used in conjunction with other inbound marketing tactics such as SEO and Social Media, including the search terms you are targeting as a business so that your content will show up in search engine results. Social media is a great tool for making people aware of your website content or your blog. By leaving links to your blog on social media sites, customers might then explore the rest of your site having read your piece. This could lead to sales and feedback. Publishing relevant content, that is optimised and around topics that your target market are searching around and interested in, will offer more opportunity for the search engines to pick up your information pieces/articles and by your readers liking and sharing your content, they are giving the search engines more reasons to rank your content above other similar content. Present you as the expert in your field- Having a strong content plan will build the profile of your business as well as your own professional profile, giving more credibility in your business and your services.